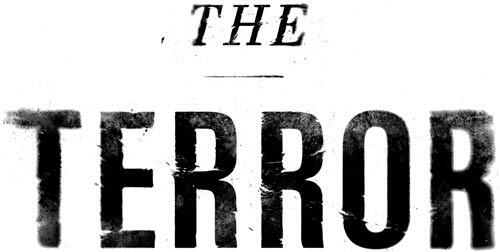 Lionsgate Home Entertainment has announced the date and released artwork for the high seas-drama, The Terror: The Complete First Season starring Jared Harris, Tobias Menzies and Ciaran Hinds. Click on the link below or image to the left to check out the features and artwork. 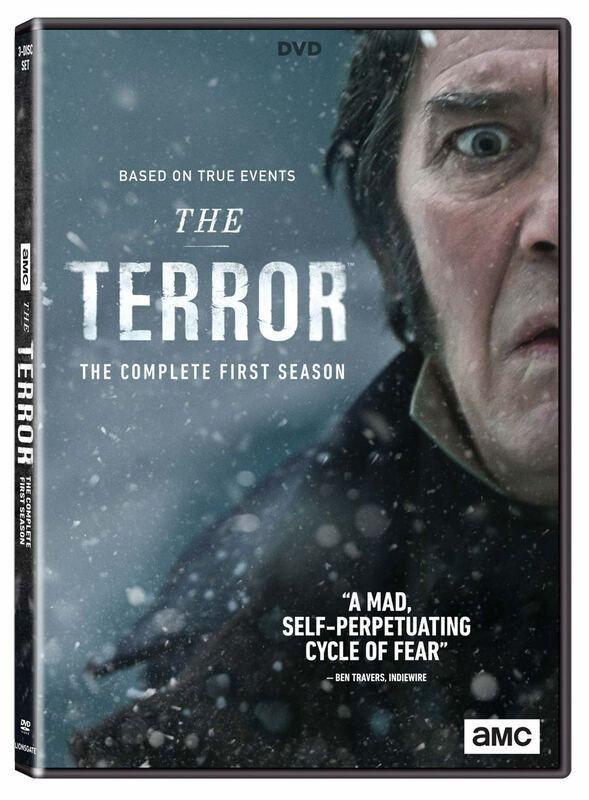 Prepare yourself for a “mad, self-perpetuating cycle of fear” (Indiewire) when Ridley Scott’s executive-produced “The Terror:” The Complete First Season arrives on Blu-ray™ and DVD August 21 from Lionsgate. Inspired by the true story of Captain Sir John Franklin’s lost expedition in the late 1800s as he ventured into uncharted territory in an attempt to discover the Northwest Passage, a desperate game of survival begins when the Royal Naval expedition discovers a monstrous predator. The series debuted as the number one new series premiere on cable and is now Certified Fresh™ on Rotten Tomatoes. 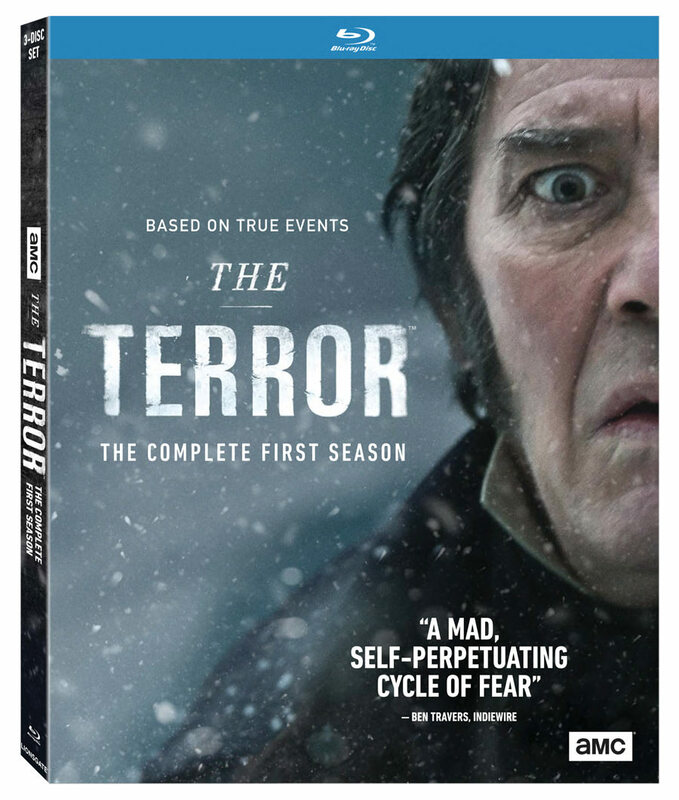 “The Terror:” The Complete First Season Blu-ray and DVD will be available for the suggested retail price of $29.97 and $24.98, respectively. A crew of a Royal Naval expedition is sent to find the Arctic’s treacherous Northwest Passage but instead discovers a monstrous predator, a cunning and vicious Gothic horror that stalks the ships in a desperate game of survival, the consequences of which could endanger the region and its native people forever.